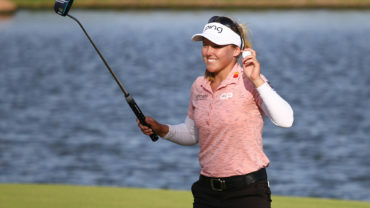 ADELAIDE, Australia – American Lizette Salas shot a 2-under 71 Saturday to take a two-stroke lead over two Australians and a Thai golfer heading into the final round of the Women’s Australian Open at Royal Adelaide. Salas, who had a 10-under total of 209, was 1 over after the front nine, but rescued her round with back-to-back birdies on the 14th and 15th holes and another on the par-5 17th. Despite her poor start, she joked about her round later. Canadian Maude-Aimée LeBlanc of Sherbrooke, Que., carded an even-par round for a two-way share of fifth at 7-under par heading into to Sunday’s final round. 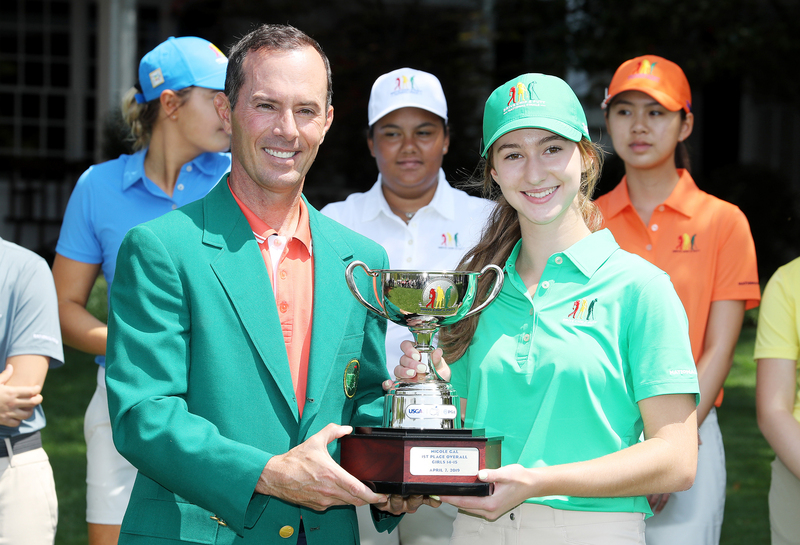 Countrywoman Alena Sharp recorded a 74 (+1) and sits tied for tenth at 5-under for the event. South Korean-born Australian Su Oh had the round of the day, a 68, and was tied for second with fellow Australian and 36-hole leader Sarah Jane Smith (74) and Pornanong Phatlum of Thailand (73). Defending champion Haru Nomura of Japan had a second consecutive 69 and was in a group tied for seventh, four strokes behind. No. 2-ranked Ariya Jutanugarn of Thailand, the LPGA’s Player of the Year and a five-time winner in 2016, shot a 71 and was at 4-under. Michelle Wie shot 76 and was at 2-under, eight strokes behind. No. 1-ranked Lydia Ko of New Zealand was at even par after a 73 on Saturday, as was Canada’s Brooke Henderson. Brooke and Brittany Henderson took to the course early on Saturday as the first “group” out in Round 3. 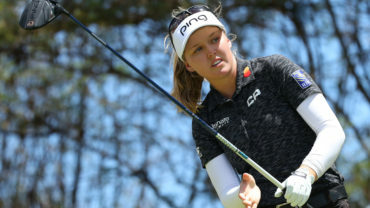 Because of the odd number of players to make the cut (75) Henderson played on her own for the first time in her career and brisked through 18 holes in just over three hours, shooting even par with one birdie and one bogey. “It took a little while to get the rhythm right because you’re normally waiting for other players and you have a little bit more time to process things, but at the end of the day it worked out really well and now I have the rest of the day to go experience Glenelg and Adelaide,” said Henderson. Ko has a new coach, caddie and equipment.